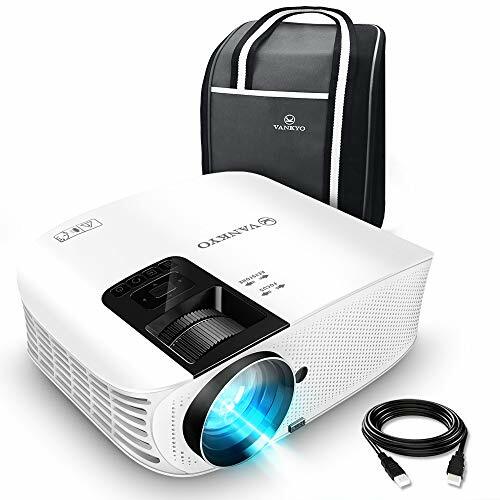 VANKYO Leisure 510 Home Cinema Video Projector 2018 Upgraded is currently selling at $189.99, which is its normal price. It has a lowest price of $189.99 and is selling within its usual range. Price volatility is 0.15% (meaning it does not change often), so you might have to wait a while for the price to drop. Until then this is a recommended 'ok deal'. The current deal is also the best price on this item over the last month. 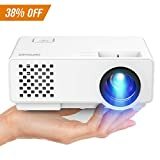 Compare the current price, savings (in dollars & percent) and Buy Ratings for the top Portable Projectors that are closely related to VANKYO Leisure 510 Home Cinema Video Projector 2018 Upgraded. Here is how VANKYO Leisure 510 Home Cinema Video Projector 2018 Upgraded compares with other leading Portable Projectors. 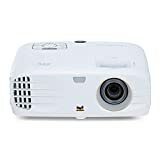 VANKYO LEISURE 510 is a portable video/movie/Game projector with HDMI/VGA /USB/SD/AV Input, ideal for home entertainment and small office presentation. Features?Enjoy Awesome Visual Experience? VANKYO LEISURE 510 is equipped with 3600 LUX LED light, native 1280×768 pixels resolution and 3000:1 contrast ratio, delivers vivid and clear images. Besides, it provides a watching size from 44" to 200" with 4.9ft to 18ft projection distance. You can enjoy your own cinema anywhere and anytime. ?Ideal for Home Entertainment?LEISURE 510 home cinema projector is ideal for home & backyard cinema, suitable for Watching movies, Watching TV Shows, Displaying Music, Pictures &Stream Videos, Showing photo album, Browsing websites, Party playing, Playing HD video games, Enjoying football matches, etc. ?Multiple Devices Connection? 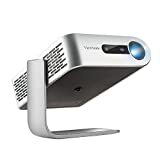 The projector is compatible with many devices , including PC, laptop, iPad, iPhone and other smart phones, also compatible with Amazon Fire TV Stick, Chromecast, Xbox, PS3/PS4. ?Stereo Audio & Carrying Bag?This HD movie projector is equipped with two HIFI Stereo Speakers. A customized carrying bag is designed for you to carry and store it easily.